Drawings from trextrying.tumblr.com. 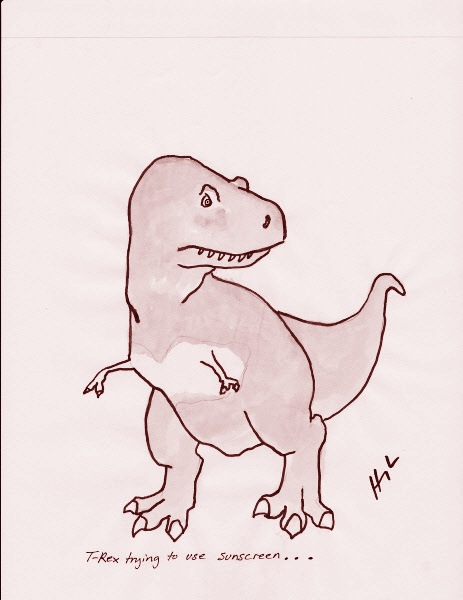 I love dinosaurs and this little t-rex and his even littler arms - so charming! Letter from John Steinbeck to his son, Thom. From Letters of Note. This Wikipedia article on Sanora Babb led me to this article on James Wong Howe. Interracial marriage in the '30s? I'm intrigued and I'm sure there's a lot more to it than Wikipedia tells us. Anyway, I'm going to head out this weekend, enjoy the city, and try to forget about the ghosts of this week past. sorry the week sucked. mine too, actually.